Mark your calendars! 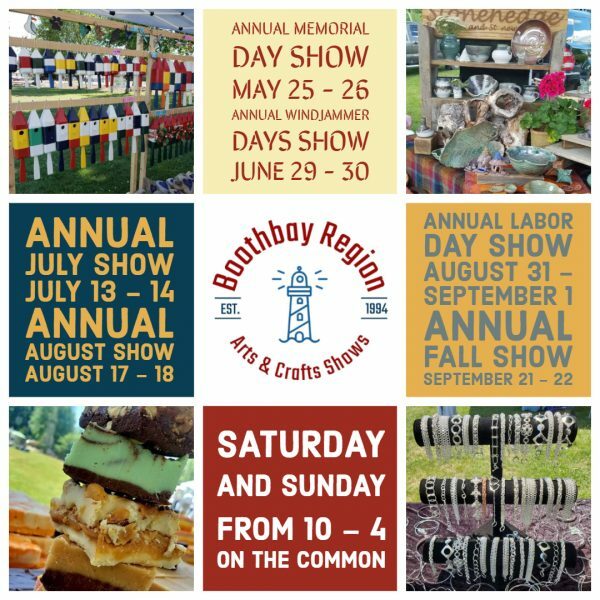 Here is the 2019 Boothbay Region Arts & Crafts Show Schedule! If you are interested in being a part of one or all of our upcoming craft shows you can send an e-mail to [email protected] and we would be happy to forward you more information! Summer shows are held both Saturday and Sunday from 10 – 4 on The Common. If a show is canceled due to weather we do not reschedule.